The startup will provide energy disaggregation to nearly 1.5 million Texas homes. Bidgely, a California-based analytics startup, just landed its largest utility deal to date with Texas energy retailer TXU Energy. The company's energy disaggregation analytics will power TXU’s energy engagement solution that is offered to nearly 1.5 million residential customers. The deal, which was announced on Thursday, will migrate TXU’s existing MyEnergy Dashboard onto Bidgely’s cloud-based platform. "This is a big win for Bidgely, coming off of a novel software-as-a-service free trial program earlier in the year," added Ben Kellison, director of grid research at GTM Research. By moving beyond its homegrown solution, TXU will be able to provide more personalized and detailed information across its web and mobile tools. "It is truly about customer engagement and refining the tool kit," said Jennifer Pulliam, director of DSM product development at TXU Energy. "We believe Bidgely has market-leading capabilities in the way it takes the data and breaks it down into its components." A few years ago, TXU Energy simply couldn’t find what it was looking for in the marketplace, so it developed the MyEnergy Dashboard in-house. Today, nearly 70 percent of customer transactions are through digital and mobile channels, up from less than 20 percent three years ago. In the competitive energy market of Texas, however, simply providing online bills and some basic usage analytics and energy efficiency tips is no longer enough. By hiring Bidgely to take over its web and mobile tools, TXU Energy's customers will now be provided energy information in a way that's more similar to how they engage with other apps and digital brands. Instead, mobile push notifications or an email alert might tell a homeowner that the pool pump is acting abnormally. Customers can always opt out of receiving messages, but the key is that they do not have to sign up to get them. 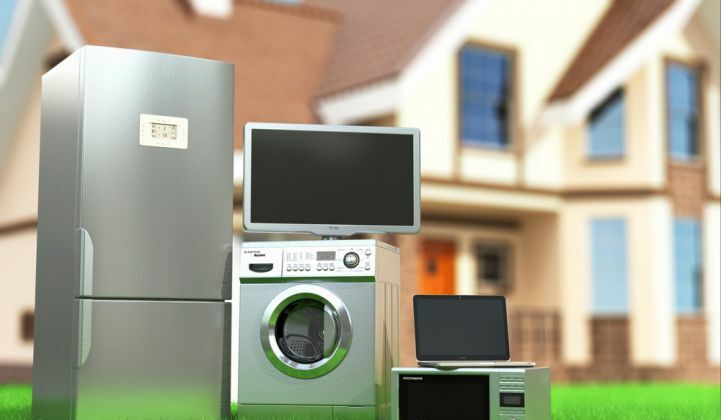 The appliance-level information is possible because of Bidgely’s “deep pattern recognition” software, which offers customers appliance-level energy consumption data by recognizing the appliance’s unique energy-use pattern. The company then provides actionable information based on that data. Bidgely only needs smart meter data to perform the disaggregation, which is the cornerstone of its analytical capability. The Sunnyvale, Calif.-based startup can also provide solar disaggregation to customers with rooftop solar PV. Bidgely takes net metering data and uses it to conduct the analysis on the performance of the solar array and assess how that matches up with consumption. If the energy production of a particular panel decreases, Bidgely can alert the customer. That capability is also being launched in Hawaii, where Bidgely is working with at least two Hawaiian utilities in a pilot that will bring its disaggregation capabilities to up to 10,000 homes. Eventually, the solar data could be used to help inform grid operations and planning needs. TXU Energy is a retailer, not a grid operator, so it will not be as interested in solar data for the same reasons that vertically integrated utilities might be. However, Bidgely’s analytics could help it pinpoint customers that might be interested in future demand-response programs based on usage patterns and then help deliver those programs without requiring customers to change how they use electricity on hot days. In the future, retailers in Texas may be increasingly interested in bidding into demand response if it meant they could offer customers more competitive rates overall. In the near term, TXU customers will be getting a new mobile experience and enhanced features in 2015 as TXU’s MyEnergy Dashboard is migrated over to Bidgely. More than half of TXU’s customers have an online account, and the utility is looking to grow that number further now that it will have more to offer customers in the digital realm.